Susan Wood is the author of many picture books, including American Gothic and Esquivel! She lives in Norfolk, Virginia. Visit her online at susanwoodbooks.com. Sarah Green is an illustrator and designer based in San Francisco. She illustrated a book on Dorothea Lange that Kirkus Reviews called “brilliant” in a starred review. Visit her online at sarahgreenillustration.com. "Affectionate . . . A strong, upbeat introduction to a bold figure." "A fond tribute to a politician whose story is very much still being written." "The story-like text flows, keeping readers engaged. This is a good choice for both reports and inspirational reading aloud." 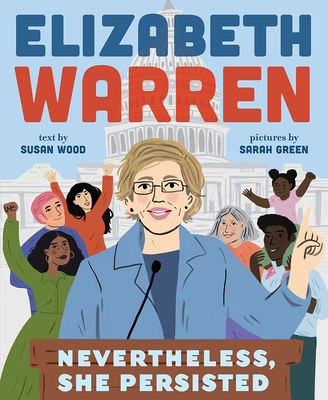 "Useful and accessible addition to the growing group of biographies about women politicians."